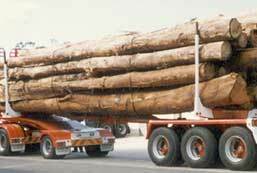 Elphinstone commenced building logging trailers in 1977 when they built their first folding pole trailer. In 1981 they built their first folding tri-axle trailer. In 1983 Tribeam suspension was designed and built. In 1984 built the world's first self loading road train with 4 axle dog, and introduced "Air transducers" for air suspensions. 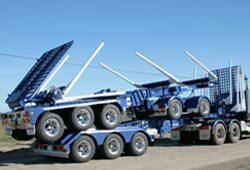 In the 1980s Elphinstone designed and built the World's first non-hydraulic folding skeletal trailer and the first Elphinstone B-Double. The 1990s saw the emergence of a number of innovative designs including special heavy duty Tandem trailers for Tanzania (Africa); the first Elphinstone self loading Tri-Tri B Double; some special purpose trailers to cart Zinc; a special purpose 'Sandgroper' log trailer for use on Bribie Island; built our first hydraulic folding Skel; developed the Elphlink log Jinker; built the first Easyloader™ Tri-Tri B Double, and the first Easyloader™ Tandem-Tandem B Double. 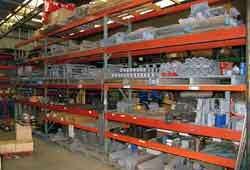 This decade also saw the export of B-Doubles and the introduction of on-vehicle weighing to South Africa; the introduction of air suspensions to our trailers, and introduced Tandem and Tri-axle Jinkers to the rear of Easyloader™. 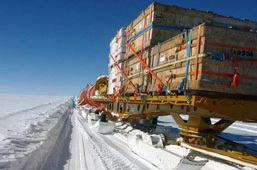 The next decade saw more innovation with the introduction of the World's first Easyloader™ self loading B-Triple; self-loading road train and the Long Logger B Double which is capable of carting 19m loads in a single length. 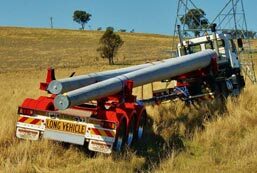 Designed and built a range of pole trailers from single axle up to three axle self-steering, including an extendable pole trailer for multiple length poles. Elphinstone continues to be at the forefront of innovative design with the Easysteer™ suspension which will increase payload and deck length and provide very accurate on-vehicle weighing. 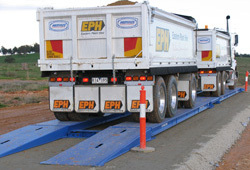 Elphinstone have developed a very simple but effective method of pulling the rear trailer either on or off the lead trailer with a sliding arrangement to allow the turntable baseplate and log bolsters to move freely back and forth along the lead trailer. The trailers can be remotely locked in position. 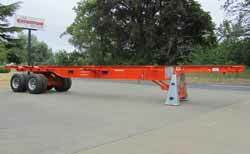 Elphinstone have developed a Pole Trailer that is suitable to be towed by a Pole Installation Truck. Easysteer™ offers huge payload increases for general access vehicles — the payload of a quad without the extra axle. 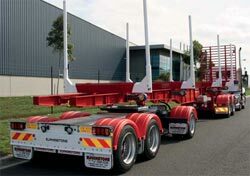 By utilising their vast logging trailer manufacturing experience, Elphinstone have designed and built trailers to meet the specific needs of customers. Elphinstone trailers are renowned for having good re-sale value. 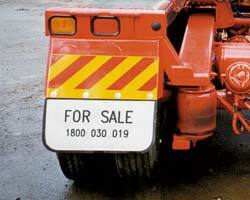 Browse from a selection of used Elphinstone trailers for sale.